One of the differences between those who write on cricket in the media and the poor blogger is that they get to see all the play, are spoiled rotten in the media centre, and are paid for the privilege. In contrast, the likes of us have to work for a living – and that’s why the dire quality of some of the output from the usuals is so deserving of contempt. To that end, I was away all of last week, didn’t see a ball of the first three days, saw only the highlights on Friday and finally got to watch some play yesterday. I did get to listen to a fair bit, while driving around the country, but it’s not quite the same. And so following the match was somewhat awkward, lots of reading of reports and updates, and generally trying to keep abreast of what is happening. Since then I’ve gone back and reviewed the highlights to try and get a proper feel for the Test. I can’t say I’m totally surprised that England won the match, it very much depended on whether England played in the same manner as they’d indicated in the New Zealand series for both Tests and ODIs. The scale and dominance of the victory on the other hand, that was somewhat unexpected. Australia’s performance was dire throughout. More or less anything they could get wrong they did. As ever, the question is how much of that was their own doing, and how much was down to England’s performance. What can be said is that after a single Test conclusions shouldn’t be drawn, and yet again we see the crowing from certain quarters. We’ve been here before, in the last two Test series there was exactly the same arrogance (from the press, not the team), only for England to fall flat on their faces the following game. First let’s take England. Cook unquestionably led the side well and captained well. Good. Very, very good. If this is the new captain Cook, then there won’t be too many complaints, he was proactive in the field, changed his bowlers well and generally looked in command throughout. And this is the point – when the facts change, so does my opinion and perspective, and I don’t have the slightest issue recognising it. It’s those who blindly insist on a particular view in defiance of what is in front of them that have the problem. It’s true too that generally there’s been an improvement in how he’s managed the side over this summer. Quite why that might be is somewhat curious, in terms of what has changed, the only thing that stands out is the replacement of the coach. I’ve long called for Cook to be in control of the side and live and die by his own actions, not fall back on the backroom staff. If he’s doing that and doing it well, that is great news. Nevertheless, it doesn’t mean that the various meltdowns in Australia and here can be forgotten, no matter how some like to pretend they didn’t happen, preferring to stick their fingers in their ears and say they weren’t listening. What it does mean is that he can look back on this Test with a fair degree of pleasure. And if continues to captain in that vein then he will reap the plaudits and rightly so. It’s a matter of whether he does or not that is the question. He won’t ever be a great captain, but if he’s an adequate one then that is good enough, because up to now he hasn’t been. Plaudits for this one Mr Cook. What was particularly striking about the approach was in the second innings. England were determined to get to a 400+ lead as quickly as they possibly could, and continued to attack even as wickets began to fall. The sheer jaw-dropping astonishment of seeing an England team do that can’t be overstated. It certainly seemed to take Australia by surprise. Initially it didn’t look that way, as England got off to a somewhat sedate start and lost wickets. In a single Test, that can happen, but it’s something that has occurred a little too often for comfort. The dropping of Root by Haddin (more on him later) turned out to be fairly critical, as Root took the game to Australia in a way that’s now becoming somewhat familiar. Before the series began Root was largely written off in much of the Australian media, based on his troubles down under last time. It was a strange rationale, given that on the same basis Steve Smith could be written off for his performances to date in this country. I rather doubt it came as a great shock to the Australian team just how good he is looking, but it certainly seemed to elsewhere. Root’s success has led Ian Chappell to call for him to be pushed up to number three at the expense of Ballance. I never see the case for this. If a player is performing outstandingly well in the middle order, where is the benefit in moving him? It’s treating a symptom rather than a cause and risking weakening the batting if the player doesn’t have the same success in a higher position. It doesn’t matter where Root bats if he is going to average nearly 60, wherever he goes in, he is going to drag the side to a higher total. Leave him where he’s comfortable. Ballance himself scored a fairly scratchy 60 in the first innings, but that will do him the power of good. An ugly knock does more for the confidence than anything else, because the time at the crease allows the player to rather literally find his feet. Of course he needs to kick on, but that innings was deeply valuable both to him and the team. Stokes and Moeen also contributed, and the latter case is important. He certainly bowled well in the match, but having a batsman of that quality at number eight is a major strength for England. It has been argued it’s a waste, but it makes for an immensely powerful middle order, IF he can hold down his place as the spinner. Previously I’ve argued that Moeen is being unfairly compared to the best spinner England have had in the last forty years, and I maintain that he is doing well enough in his primary role to more than justify his selection. He isn’t going to run through too many sides, but he is certainly useful and his batting frees up an additional spot in the side. His bowling is improving, but like anything it isn’t a linear trend, there will be peaks and troughs. Stokes himself is contributing too with both bat and ball. Both will improve over time, and the very selection of Moeen creates the space in the team for what might be called a luxury player like Stokes. Patience is required, but England have a genuine five man attack with this line up, and that is a major advantage, perhaps best seen in the way that despite so many fears about it, Anderson is not being bowled into the ground thus far. Bell scored a few runs in the second innings and looked much more like himself. Yet it is indicative of the knee jerk response that his 60, a well constructed and fluid innings, was treated as though it was 150 and justification for keeping him in the side. Personally, I don’t believe there was ever a case for dropping him, and certainly not after the selectors maintained faith with Cook for two years. But as ever, a single innings proves nothing at all except that if you keep them in the side long enough they will eventually get a few. That doesn’t mean it wasn’t extremely welcome, and nor does it mean that he didn’t look much better. It does mean that trumpeting success on the basis of a single fifty is as downright idiotic as it ever was. He will want more, and hopefully this innings will have got the monkey off his back to the extent he can get more. It’s no more or less than that. Jos Buttler failed both times with the bat, which is neither here nor there in a single match, but he did keep very well, and the only reason for mentioning it is that every all rounder who has ever played the game will talk about how difficult it seems to be to get both disciplines operating at full capacity at the same time. It seems to go this way mostly – one works very well, the other malfunctions a little. As for the bowling, Wood looks a threat every time he bowls, and perhaps more importantly, for all the wishful thinking about getting a left armer into the side, he provides balance. Anderson, Broad, Wood and Stokes are all different kinds of bowlers. That they’re right arm doesn’t in itself matter, it’s not a samey attack. And while on this subject, it didn’t go unnoticed that it was mentioned as a problem that England have seven left handers and thus provide Lyon with a line of attack given the rough outside off stump. It’s quite true, but the same applies the other way around given that Australia have two left arm seamers. Sauce for the goose. Turning to Australia, this one is a match for them to forget. While refusing to form definitive views after one match, I hold by the view that you never know a side past its sell by date until they actually become so – just as with England in the last Ashes. There might be cracks, but complete collapse isn’t anticipated. This game Australia were truly awful. Most batsmen are far more annoyed at getting in and getting out than they are being dismissed cheaply, which is considered an occupational hazard. And yet for the first time in Test history, all of numbers three to six were dismissed in the thirties. This is both good and bad for Australia, good because all have had time in the middle to get used to conditions, bad because they then got out and mostly to poor shot selection. Much of the talk around how Australia move forward has centred on the future of Shane Watson. His playing around the front pad has got him into trouble throughout his career, yet in this game I have a mite of sympathy for him. The first innings decision was a rotten one, made worse by a proper understanding of how Hawkeye works. It didn’t show the ball clipping the leg stump, it suggested it was possible it might have done, and at a low probability. Yes, by all means uphold that decision from the umpire, I don’t have a problem with that; I do feel sorry for Watson because when he gets hit on the pads now, umpires are seemingly predisposed to giving him out when they likely wouldn’t give out another player. His second innings dismissal was certainly closer, but still an umpire’s call. Another player would have got away with that one probably, the first innings one certainly. 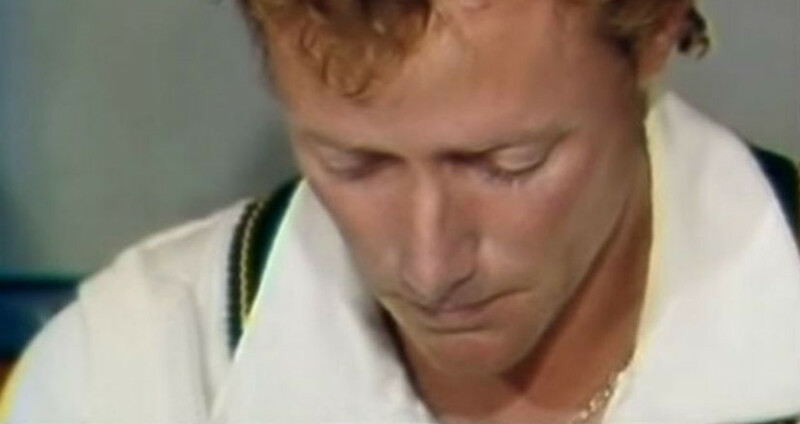 He may be facing the end of his Test career, and while that may be the correct decision for the Australian team, he was thoroughly shafted in this match. Warner and Smith both exhibited signs of where they are likely to be vulnerable in English conditions. Warner’s style of stand and deliver batting is always going to be vulnerable to the ball seaming or swinging. This isn’t new, and it isn’t in itself the end of the world, because he showed in the second innings that he can fight through the hard times. Smith has a quirky technique and that is why he finds it more difficult in English conditions, something he’s struggled with since he first broke into the side. He is more than talented enough to learn how to cope. Haddin looks like he is reaching the end of the road. Both his keeping and his batting look frayed and have done for a little while now. Of course, he could just be out of form, something rarely granted to older players, but this series could well prove decisive for him unless he improves significantly. As for the bowling, the surface effectively nullified the pace of Starc and Johnson. Despite some whining in the Australian press, it was a fairly typical Cardiff surface. What did surprise was that England’s attack handled those conditions so much better. Johnson had fairly miserable figures for the match, but didn’t bowl too badly. Starc looked a fine bowler, but I can’t be alone in struggling to understand why when he was clearly injured Clarke insisted on bowling him again and again. By the second innings the game was already disappearing over the hill, it seemed bizarre to watch him limping over after over and still being kept on. If he isn’t fit for Lords some questions need to be asked about why they made it worse. If indeed that is the case, then all of a sudden Australia have some problems. Siddle is an honest enough workhorse and won’t let anyone down, but he’s not in quite the same class. Cummins is highly promising, but hasn’t played a first class match in two years, and it’s asking an awful lot for him to come in and play a Test. Hazlewood on the other hand, looked very good indeed, and will be a handful on other pitches. Nevertheless, Lords should be a little more conducive to the pace bowling than Cardiff was while not exactly a seamers paradise, and thus triumphal writing off of Australia is highly premature. It is hard to believe Australia will be so poor in the next game, but if they are, then this tour could go horribly wrong for them. After one game England will feel it went about as well as it possibly could have done. Australia will feel it went about as badly as it did in their worst nightmares. They are more than good enough to step up their game, while England have flattered to deceive on more than one occasion. What it does though is to provide the most perfect start to the series from the perspective of the spectacle. One other thing I noted: At the conclusion of the Test, the England players made a point of going around the ground and signing autographs and posing for photos with the supporters. I don’t remember them doing that before, so whoever has come up with it as a means of engagement deserves a pat on the back. Is it lip service? Maybe. Is it welcome anyway? Definitely. *It’s always amused me that this term immediately makes people think of Star Trek and high speed. In times past, warping out of harbour involved rowing the anchor out ahead in a boat, and winding the capstan in to make progress when there was no wind. It was backbreaking work and an incredibly slow process. It seemed appropriate. Just put up on Twitter that five lucky people (or unlucky) have just had the first set of questions e-mailed to them. Don’t worry if you’ve volunteered and you haven’t got some, because you will be next (or the one after) and all will get at least one set before the series starts. That’s the aim. If you want to be on it (and I’m going to volunteer a few of you if you don’t) then drop me a line on dmitriold@hotmail.co.uk – I’ll need your e-mail address. This might work, and I seem to think it will, or it might die a death, but we try here on Being Outside Cricket! Also added a number of new random header shots, all from Ashes tests, all pictures taken by me. You’ll recognise one instantly if you were a reader of HDWLIA. So you’ve read part one….. Now on to the questions set by Dennis of Dennis Does Cricket to me. These are my honest views, and feel free to take them to pieces if you wish! 1) Australia has the Brutal issue of having to squeeze four world class quicks into three spots. Who are the lucky three and why? England fans cannot believe you won’t pick Ryan Harris. He appears to have achieved that status reserved for a few Australians, in that I get the sense he’s really liked! I think we all love to see a bowler who suffers for his craft. That said, England have had enough experience of relying on old crocks with injury issues to know you should always go with the younger fitter model (I recall 2002/3 all too well, waiting on Gough and Flintoff) so unless Hazlewood gets monstered in the early tour matches, you should go with what you had in the West Indies. So it’s Johnson, Starc and Hazlewood, and Harris and Siddle up your sleeve. Of dear lordy. 2) Fawad Ahmed and Nathan Lyon lead the Shield wicket taking table last summer. Should the leg spinner be used in tandem with Nathan Lyon at any of the grounds? What about instead of Lyon? My blog has Nathan Lyon’s number 1 fan (outside Australia) so I’m not ever suggesting he should not play. 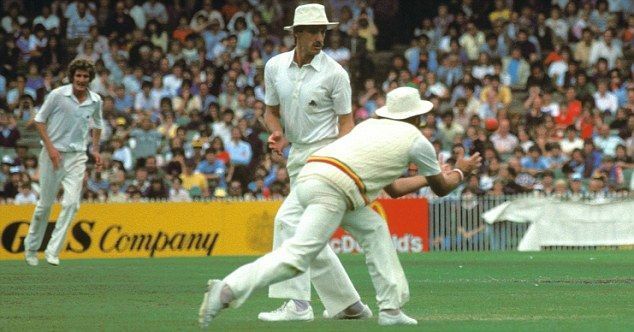 Nathan Lyon is a bloody good bowler, and the problem is that when you’ve had superstar spinners in your team, you always shoot for the moon (something we should remember now Lovejoy* isn’t in our team). Fawad Ahmed is an interesting wildcard, but none of the venues we are playing at are going to be raging Bunsens because we don’t have Swann any more. I think our allergy to leg-spin is overplayed a bit, but also the other reason for playing them – that they are great at getting tailenders out – is our problem rather than yours. You seem to take great pleasure in a 90mph left armer coming in to the lower order players and smashing them out. I don’t think there will be any “two spinners” wickets and I cannot see you dropping the lead singer in the Under the Southern Cross ensemble. 3) How should Australia attempt to reduce the influence of Joe Root? I put the same question to you! We’re all going a bit mad about Joe Root, and why not? He has this knack of making big hundreds now, so once he’s in, and past the century mark, he’s not satisfied. The drop down to number 5 has been huge, but it also left a major hole we’ve not filled yet at opener. I’m a little disappointed, to be honest, because I’ve always felt 5 is the armchair position in the batting line-up; you’re not likely to be up against the new ball with fresh bowlers, and you get time before the marshalling of the tail (which Root is good at). 4) What tactics by Australia will cause the biggest headaches for the captaincy of Alastair Cook? 5) Should Shane Watson’s position at 6 be in question? 6) Will this be Clarke’s final Test series? If so, is Smith ready to fill his shoes? 7) The last Ashes series in the UK saw Australia constantly at 5/150 and requiring Haddin to save the day with the bat. Is this likely to happen again? 8) Haddin is averaging less with the bat that Nathan Lyon over the last 12 Test matches. Should Australia be worried about this, given his keeping is at the top its game? 9) How should Australia play Anderson? Attack or defence? 10) Is Stokes capable of stealing a game or two off his own bat? 11) Which Englishmen are likely to quit mid series this time? That tour was such a disaster it makes you wonder what was really going on. We are still wondering!!!! 12) Swann was the difference last time in the UK. Is Moeen any chance of getting close to having Swanns impact? Why no Rashid? Rashid is an unknown quantity to me in the long form of the game. I’m not a Yorkie, my county plays second division cricket, and I don’t like judging spin bowlers on one day form? Why no Rashid? Well, ask the brains trust out in the Caribbean that. He wasn’t played in the first game, supposedly, because he bowled badly in the nets. And boy, were we told he bowled badly in the nets. Again and again and again. That’s the way we roll. After that, Moeen came straight back into the team, and not pulled up any trees. It doesn’t look promising. As part of this blog’s build up to the Ashes, I got in touch with perennial doubter of all things English, a pox on our establishment, the itch we cannot scratch, but once I’d finished talking to myself (again) I wrote to Dennis of Dennis Does Cricket (in)fame(y) to exchange some questions in the run-up to the Ashes. In Part 1, I have Dennis’s views on 10 questions I posed, with an open-ended bit at the end. So, here goes chaps. Dennis speaks. Feel free to comment. 1. Last time we met, it was 5-0. Ask a lot of England fans a few months ago and we’d have predicted the same (with some caveats for the weather). What do Aussies think the score will be? Before I answer this, let’s address your caveat. Don’t you find it amazing that the English created a sport that is reliant on the weather? In Australia, we think Hobart is a cold and wet place. The next land you hit going south is Antarctica. 16% of Australia’s rain fall sin Tasmania. But as it turns out, the UK is closer to the North Pole than Tasmania is to the South Pole. I would suggest that Australians are still rather optimistic about the Ashes result. England couldn’t beat the West Indies. Hell, you even lost a Test to them. How does that happen? You couldn’t win the Test series against New Zealand at home. Last year you lost to Sri Lanka at home. You did beat India, but who doesn’t when they are on the road? I almost forgot that you let Ishant Sharma bounce you out with an old ball at Lord’s. So, given that and given you have a horrible captain and given your Test side hasn’t had the positive change like the ODI side and given the fact that Australia hasn’t lost a Test for two years and given man for man, England probably don’t win even one spot, Australia will win the Ashes easily. 4-0. Nah, stuff it. 5-0. 2. Are you persuaded by the new vibe coming from England of “positive” cricket? Lots of us were surprised in the New Zealand test series by a change in attitude. You buying it? In the ODI space, yes. But let’s look at the Test space. In both the West Indies and New Zealand series, England were 1-0 up. Then this so called ‘positive’ cricket vibe suddenly drained away and they lost the final Test. That’s two chokes in a row. The South African culture is strong in the ECB. So no, in the Test space, I don’t buy it. Cook is not a leader who creates positive vibes. Bell is out of form. Ballance has been found out. Broad is struggling. Moeen may not last until the third Test before being dropped. There is no positive vibe when half the team is scared of losing their place in the side. I know this because I watched Australia pre-Boof. 3. I read that you didn’t think Ryan Harris should make the team? England fans palpitate at the very mention of his name. Is he really not going to play? If you remove the emotive element, I can’t see how Harris plays in the First Test. The other three amigos just bowled Australia to a World Cup win and tore up the West Indies. You don’t split up a winning formula. Harris hasn’t bowled competitively since the New Year’s Day Test in Sydney. 4. In 2013 we were hearing big things about James Pattinson. Now we are hearing big things about Josh Hazlewood. Should we take them seriously? James was coming along swimmingly until he got injured. Don’t judge him on his brother’s efforts for England. Unfortunately for James, the list of available fast bowlers in Australia is longer than the English tail. Johnson, Starc, Hazlewood, Cummins, Pattinson, Harris, Bird, Siddle……and so on. Hazlewood is the real deal. He is like Peter Siddle from the last series, but just 10 kph faster, gets more bounce and with Glenn McGrath’s lines. Hazlewood is the reason why I don’t see an easy way for Harris to walk straight back in to the team. 5. Is Steve Smith lucky or great? You don’t get to the number one ranked Test batsmen in the world by being simply lucky. In fact, his ranking points exceed anything Brian Lara achieved. However, that doesn’t make him great, but he is well on the way. So is Joe Root and Kane Williamson. In 2013, I wrote that if Smith gave up the leg spin and focused on his batting, he could become the next Steve Waugh. That won’t happen now as Smith is Australia’s number 3, rather than hiding at 4 or 5 like Waugh did and Root does now. This Ashes should see Smith as the leading run maker. His form is that good. His technique ensures it is hard to bog him down. He plays spin brilliantly. He has cross bat shots. He can skamper quick singles. His get out shot at the moment is either the pull shot bottom edged on to middle stump or the run out. England should set plans for both of these possible eventualities. 6. Who is commentating on this series for the Australian viewers. Will James Brayshaw be anywhere near it? I’m not sure, except to say that Channel Nine are bringing over their own crew, rather than relying on Sky. I think this is a poor outcome for Australian cricket fans. The positive is that we get to see every match live on Free To Air television. No need for a Sky subscription in this part of the world. Remember that argument that there is no market for Test cricket on terrestial TV? The ECB are selling you a lemon. 7. Our older core of Broad, Anderson and Cook get a ton of stick from you. Which one of them do you fear might do you the most damage in this series? Anderson will take his 4 wickets a match. 2 or 3 of them will be lower order batsmen. This is not a prediction based on guesswork. It is based on historical fact and statistics. That makes him no better than Peter Siddle. Do England [rate] the banana eater? Broad has the ability to take a quick 2 or 3 wickets with the new ball because he attacks, but his control is gone. Watching him bowl against New Zealand and the West Indies, he was way too short. Cook will make a century somewhere, but I’d be surprised if he averages over 35 this series. The bowling attack is just too strong and Australia love to attack the opposing skipper. We will be given no free space to settle. 8. We’re all a bit keen on Joe Root at the moment who is in brilliant form. What’s your view on what you’ve seen? I love him. Australia love him. He shows grit and attacks the game. He is mouthy in the field. He shows no fear. The Root v Smith battle will be amazing. 9. Two of your older players are question marks. Shane Watson seems nailed on, am I right? And is Brad Haddin’s lack of form terminal or will he get it back playing against us again? Both should be under strong scrutiny. Watson looks much better at number 6 rather than at 1,2 or 3. However, even at number 6, he doesn’t produce like he should. This is especially evident when the contenders for his spot are Mitch Marsh (lost his place due to injury), James Faulkner (the last decent all rounder to play an Ashes Test for Australia in the UK but lost his place due to injury), Moises Henriques (not available due to injury) and Glenn Maxwell (will get another chance at some stage). The other option is that Australia back their three quicks and Lyon, and then play a proper number 6 batsman. That would mean that Shaun Marsh and Voges both play. Perhaps a batting order or Warner, Rogers, Smith, Marsh, Clarke, Voges, Haddin. Haddin was the saviour the last time we visited your Britain of Greatness. How pompous is that name? In the last 12 Test matches, Nathan Lyon has averaged more with the bat than Haddin. That said, Haddin’s keeping is as good as anyone in the world at the moment. That is worth a wicket or two an innings, possibly off-setting any potential batting losses. The understudy keeper is a guy named Neville. No, that’s his surname. His First Class batting average is 44. He is also much better with the gloves than say Buttler, Bairstow or Billings. 10. Give us a name that might surprise us from the Aussie party – I think I know who it might be – and one you think might give you some grief from England. Nathan Lyon is the guy. This unassuming ex-Adelaide Oval groundsman will play the role that Graeme Swann played for you last time we met in the Northern Hemisphere. He has slowed down his pace, allowing for more flight and drift. He creates more chances than even the quicks. He gets bounce. He gets great turn. His arm ball is brilliant. He is the best number 11 in the world. Lyon will spin Australia to at least two wins on Day 4 or 5. The person Australia would fear most is probably Rashid, but he won’t play until the ECB drop Moeen Ali. That won’t happen until after the series is lost. 11. Finally – Open House. What’s on your mind DDC with this series? To be honest, I’m mostly looking forward to re-aquainting myself with the English cricket fans via social media and my site. Most are very knowledgeable about the game and I have made many friends due to being active during the previous few Ashes. In a cricketing sense, seeing how Mitch Johnson goes this time around will be interesting. Does he still scare the bejesus out of you guys? He should. I fear Australia’s batting depth may not be as strong as some imagine. I sense Warner is in for a shocker and Clarke is on his last legs. Add Haddin and Watson to that mix, and we have a potential problem. However, I could be completely wrong. Remember what Warner did on his last tour to South Africa? Yes, he got his girlfriend pregnant, but he also stood up when under the most immense pressure. My huge thanks to Dennis for participating in this exercise. We cooked it up on Saturday morning, and we threw ourselves into it. He’ll be re-linking this on his site, and my answers to his questions will be going up soon – http://dennisdoescricket.com/ , and no doubt we’ll be discussing the series during the next few weeks. Catch him on Twitter too @DennisCricket_ or his podcast, Can’t Bowl, Can’t Throw – the latest edition of which has Mr Roland Butcher’s Hook himself, Mr David Oram, to listen to. I’ll just steer him on the Great Britain thing…. The classical writer, Ptolemy, referred to the larger island as great Britain (megale Britannia) and to Ireland as little Britain (mikra Brettania) in his work, Almagest (147–148 AD). In his later work, Geography (c. 150 AD), he gave these islands the names Alwion[sic], Iwernia, and Mona (the Isle of Man), suggesting these may have been native names of the individual islands not known to him at the time of writing Almagest. The name Albion appears to have fallen out of use sometime after the Roman conquest of Great Britain, after which Britain became the more commonplace name for the island called Great Britain. 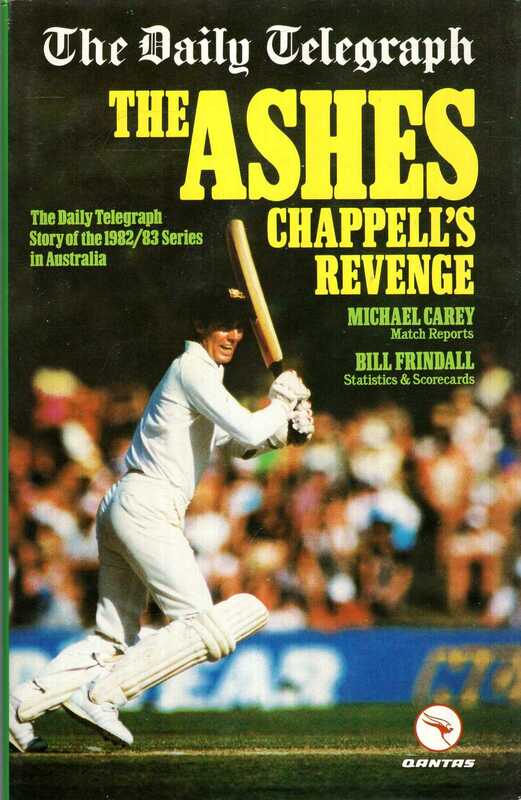 So there we have it, the Ashes are done, the teams are exhausted and now it’s time to look back on the series. The series got off to a bad start when the Australian team were held at border control at the Severn Bridge on the M4. Protesting that “but we’re in England, right mate?” only seemed to make things worse, as Darren Lehmann asked the High Commissioner to issue a formal protest over the visa charge of £6.50 per head. David Warner was seen looking baffled as explanations about the difference between England and the United Kingdom were made, and matters weren’t helped when Alex Salmond somehow got hold of Darren Lehmann’s mobile number. Steve Smith was briefly detained due to an unfortunate mix up where they found his name on a watchlist, being released only when it became apparent he really did know nothing about rugby. So it was a petulant team who finally arrived at the Holiday Inn, Cardiff. An annoyed Mitchell Johnson went off to check the pitch only to return after 10 minutes complaining that while very big, the ground was the wrong shape for cricket. Given such a start to the series, the ECB felt it appropriate to mend some fences, and sent their best diplomat, Giles Clarke, around to smooth things over. Rumours that Tony Abbott subsequently approached the USA about buying Trident can now be safely dismissed as untrue and entirely unrelated. The morning of the first Test dawned bright and sunny, catching out Stuart Broad, who assumed the first day would be rained off and turned up late. A capacity crowd of at least 750 were in the ground eagerly anticipating the toss. It’s probably after this point that England fans noticed things starting to go wrong. Certainly being 65-6 at lunch wasn’t in the plan, though journalists were quick to highlight how brilliantly Cooky batted for his 14 runs. Indeed, Stephen Brenkley received a British Press Award for his 3,000 word treatise on how he played and missed “with aplomb”. Straussy wrecked any chance of a Pullitzer by calling the committee “c****s” (except in the Guardian, where they printed it in full – Selvey saying it was the “moment of the series”) for their outrageous decision to exclude it from consideration on the grounds of not being American. Joe Root was exceptionally careless to be timed out, and his protest that he was waiting for that tall South African bloke to go in at four cut little ice with the critics. England did at least improve a little after lunch, with Jos Buttler skilfully marshalling the tail before being left high and dry on 2 not out. As would be seen throughout the summer, England were far from out of it. With hindsight, making Anderson bowl from both ends all day probably didn’t help his longevity in the series, but it wasn’t until Edgbaston that the umpires had to step in claiming that crawling to the crease on hands and knees was slowing the over rate down too much. Yet with Australia teetering on 372-5, Stuart Broad spoke to the team at length during tea, berating his colleagues for failing to follow the plan. Thereafter things went much better, as Brad Haddin was in all sorts of trouble to the short ball, finally being put out his misery for a mere 137 with 19 sixes. With an uphill battle to save the game, Cooky strode to the middle. A dazzling array of plays and misses and edges through the slips led to criticism that Michael Clarke had failed to learn the lessons of 2013. Mike Gatting on Radio Five took one look at the wagon wheel of the innings and concluded it was ten past one and went for lunch, wondering why he had such a craving for marshmallow covered in chocolate. England fought valiantly, and nearly got away with the draw. Anderson and Wood were left with a mere 193 overs to survive and got 4 balls into that before Wood was wrongly given out lbw off his fetlock – Stuart Broad having blown the reviews claiming that his leg stump wasn’t on the ground at all. It was a chastened team at the presentation, Trevor Bayliss being seen muttering to himself while reaching for a pack of Benson and Hedges. 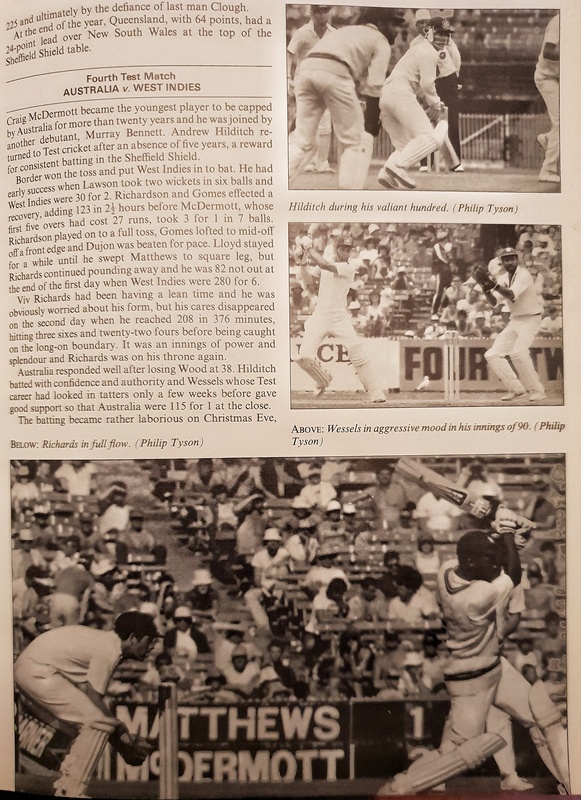 Cooky spoke well about not executing their skills, learning from the game and taking the positives – particularly Stephen Brenkley, who he felt was the right kind of journalist with the right kind of newspaper. In the Sky Sports studio, Atherton confused Shane Warne by saying that England were losing to win, although Warne’s response was sadly edited out by the ECB Media Compliance Committee producer before anyone could see it. Media reaction was swift and merciless. Mike Selvey wrote that the main problem was that Adil Rashid was causing discontent in the camp by scoring an unbeaten century and taking 23 wickets for Yorkshire on the same day, while Paul Newman wrote that Kevin Pietersen’s “morning, lovely day” tweet had divided the dressing room, with born and bred Lancastrian Jos Buttler taking particular exception – his reply of “It is, isn’t it” being scanned for underlying hatred. And so the second Test approached. With four days between matches, Andy Flower intervened, sending Jimmy Anderson on a walk from John O’Groats to Lands End as a warm up. It certainly had an effect, and England were an entirely different side. After an unfortunate injury in the warm up, where Ian Bell was shot with a champagne cork from a local miner on his day off, England had to make a late replacement. A mystery player known only as Kay PeesorryQueueoopsmadeamistake was firstly drafted in, before Director Comma Cricket Andrew “Straussy” Strauss leapt up from his sedan chair, saying the accent was a bit iffy. Winning the toss, Australia were soon in trouble. David Warner was arrested for starting a fight with some of the schoolchildren present, his defence that he thought it was Joe Root sledging him not being accepted by the local magistrate. Anderson ripped through the top order, using the conditions to good effect as the ball rolled down the slope. Numerous swipes in vain saw the batsmen bowled time and again, while Shane Watson was lbw. After such a troubled and controversial start, relations between the teams improved thankfully, Ryan Harris crouching low, putting an arm around James Anderson, adjusting his oxygen tank for him and offering him full use of his knees. Alastair Cook then picked up a suspended ban for not completing the 90 overs in the day as an hour’s delay ensued with the crowd helping the two bowlers back to their feet. With England feeling in the ascendant, they went on the attack with the bat. Ben Stokes destroyed the Australian bowling, pinging them to all parts for 260 not out – though quite rightly the press focused on Cook’s admittedly fine 84. Their partnership of 260 was a sight to behold. England’s dominant position was enforced as the tail wagged, and Jos Buttler reached the heights of getting to 4* before the innings closed. Darren Lehmann, clearly unimpressed with Australia’s efforts, called for a traditional Aussie approach, and certainly Warner’s day release from custody attached to a ball and chain indicated his words had gone home. Despite the enormous first innings deficit, they attacked. There was a slight hiatus when Warner hit the ball attached to him into the pavilion by mistake, but since it landed in Giles Clarke’s champagne George Dobell was seen to laugh so hard he had to be taken to hospital. In his absence, Jarrod Kimber simply added 350 to the Australian score on Cricinfo. Peter Moores rang up the ECB Sky pointing out that the data didn’t add up, but unfortunately no-one there could remember who he was, and so Australia got away with it. Malcolm Conn was the first to react tweeting “That’s for Bodyline, you filthy pommie bastards” before writing an article titled “No offence”. With England set 200 to win, Cooky decided to get out his inner funk. Graham Gooch had pointed out that he was far more vulnerable to getting out if he batted, and so taking that on board, reversed the batting order. Channel 5’s highlights included a 24 minute section of Simon Hughes in the tactics truck moaning with pleasure at the genius of the idea. England scraped home, mostly thanks to Anderson’s 99. It got tense towards the end as Australia fought back, but fortunately Jos Buttler stood firm, finishing 6 not out as wickets tumbled around him. The captain scored the winning run, and was promptly knighted by a grateful public. With the series so finely poised, it was a great shame that the next two Tests were washed out. No refunds were given to spectators, as it was considered that highlights of the 2005 series on the big screen were now to be assumed as being part of play. Some complaints were made that the series as shown was incomplete, but the ECB’s PR department pointed out that the last day of the Oval Test had been sadly cancelled in 2005 and they’d not missed anything. For the denouement there were a few debates to be had in selection. Mitchell Johnson had made himself unavailable after Brian May had called him up for the forthcoming Queen comeback tour, but Lehmann had rubbished criticism of the timing by stating that Australia had endless stocks of interchangeable Mitches and the side wouldn’t be affected. With England wondering about their batting line up, the selectors were seen in discussions long into the night. A conclusion was reached when Straussy Strauss was seen carrying a trowel and smiling as plaintive Afrikaans cries were heard behind a bricked up wall. England had one other question mark over their side, as Wood unfortunately fell at the fourth fence at Haydock two days before the game, but having been given a clean bill of health by England assistant physio Jimmy Herriot he took his place in the stalls for the start. Alastair Cook scored a fine hundred, causing Aggers to squeak for an hour on air, so overcome was he. Pope Francis resigned, David Cameron announced to a hushed Parliament that he was giving way to a much better man, with a much better family, and the US Congress passed what became known at the Cooky-wooky Act allowing foreign born Gods people to stand for the Presidency. Perhaps the greatest tribute of all came from Geoffrey Boycott who stated to a shocked nation that he was nearly as good as his granny. England were certainly confident having scored over 400 (Jos Buttler 8*) but Australia weren’t out of it by any means. Chris Rodgers had escaped from the McCarthy and Stone sheltered accommodation where he was staying, and set about clearing the deficit. There was one flare up when he accidentally trod on the umpires toes going for a second run, and Stuart Broad squared up to him asking if he was having a go at him. Rodgers quietly pointed out that it wasn’t the square leg umpire and calm descended, but it was an awkward moment. A mid innings collapse (Shane Watson, lbw 0) left Australia with a small deficit, and England were back in to bat. A hush descended on the ground, punctuated only by the occasional South African accented “let me out” heard in the direction of the OCS Stand. Cooky-wooky-woo-wah headed out to the middle and as one, they all rose and sang the oratorio from Handel’s Messiah – fortunately the ECB had been prepared and issued all spectators with lyric sheets as part of the Conditions of Ground Admittance. Ben Stokes was the star of the innings, having sneaked out to bat when no one was looking. Paul Downton – special guest of the ECB – was overheard to say that this bloke looked rather good, and why hadn’t he been around when he was MD? Giles Clarke was equally confused, having seen no reference of Cockermouth in the Independent Schools List. Joe Root gave valuable support, making Boycott declare unilateral independence for Yorkshire during the tea break, while Jos Buttler’s quickfire 9 not out added to the swelling total. With Australia set 300 to win, the game and the series was in the balance. All was going well for the visitors, with England’s bowlers unable to take a single wicket. Fortunately for them, Shane Watson ran out 6 batting partners and burst into tears in the middle. With the tension building, Australia 9 down and with victory only a hit away, there came that moment. And we all know what happened then.